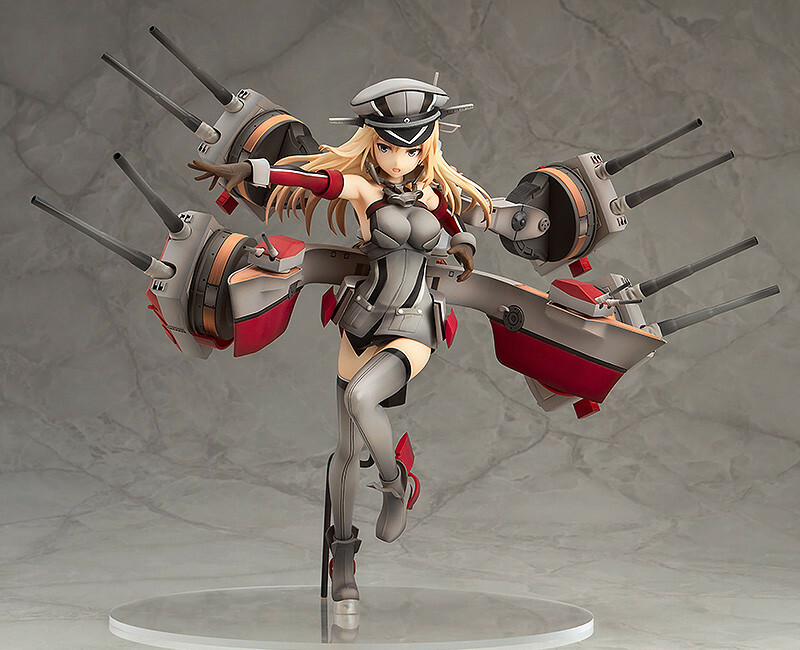 "Battleship Bismarck, set sail! Heading into battle!" 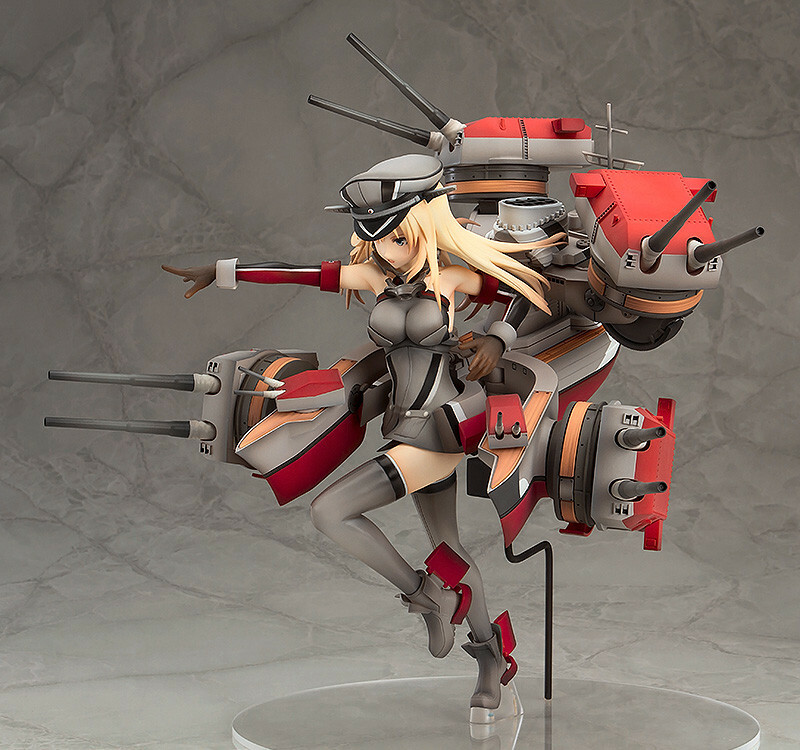 From the popular browser game 'Kantai Collection -KanColle-' comes a 1/8th scale figure of the name ship of the Bismarck-class battleships - Bismarck! 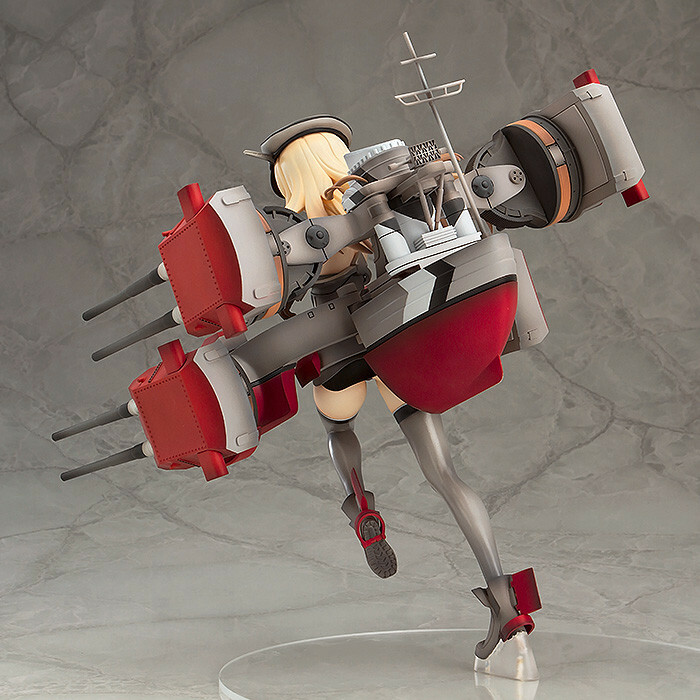 Her classic pose from the game has been carefully converted into a figure that preserves the feeling of her dashing forward with a lovely dynamic pose. 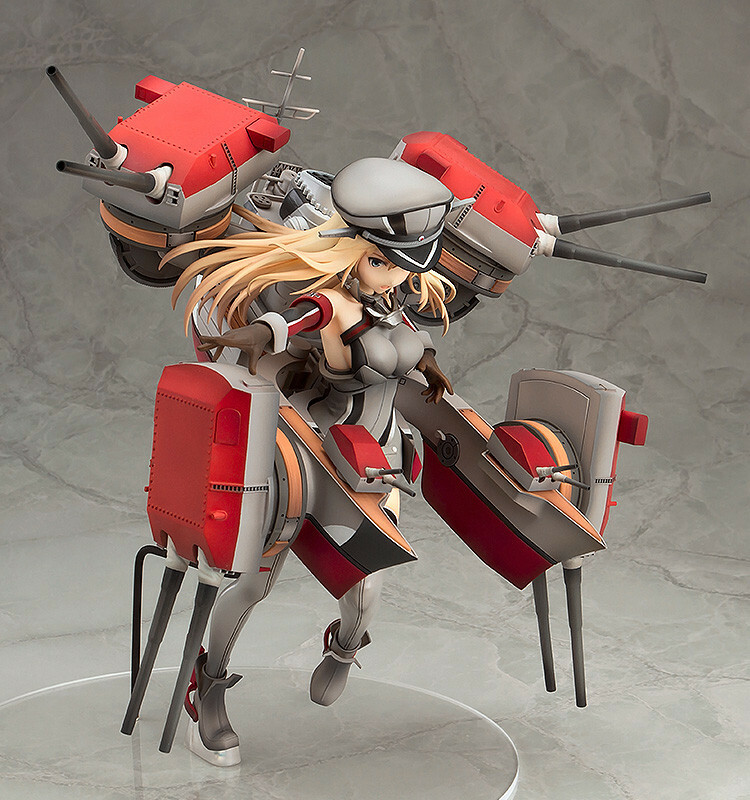 The powerful ship parts that also boast being the largest of all the German ships in the game have been completely included and feature a heavy appearance through meticulous paintwork. 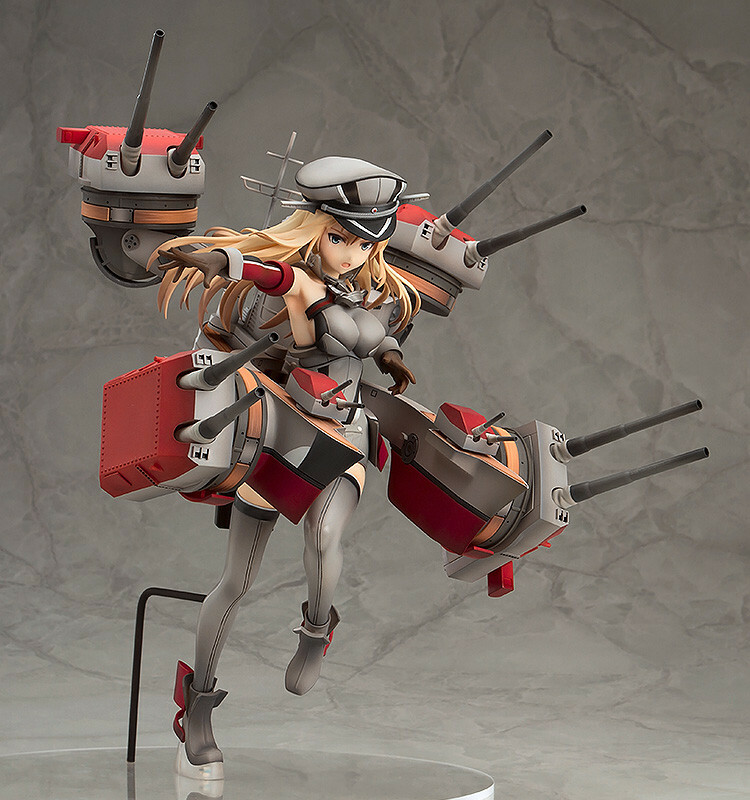 Her hat can be attached and removed for a slightly different appearance, and the ship parts are articulated at various points allowing for all sorts of fun to be had posing even on a scale figure! 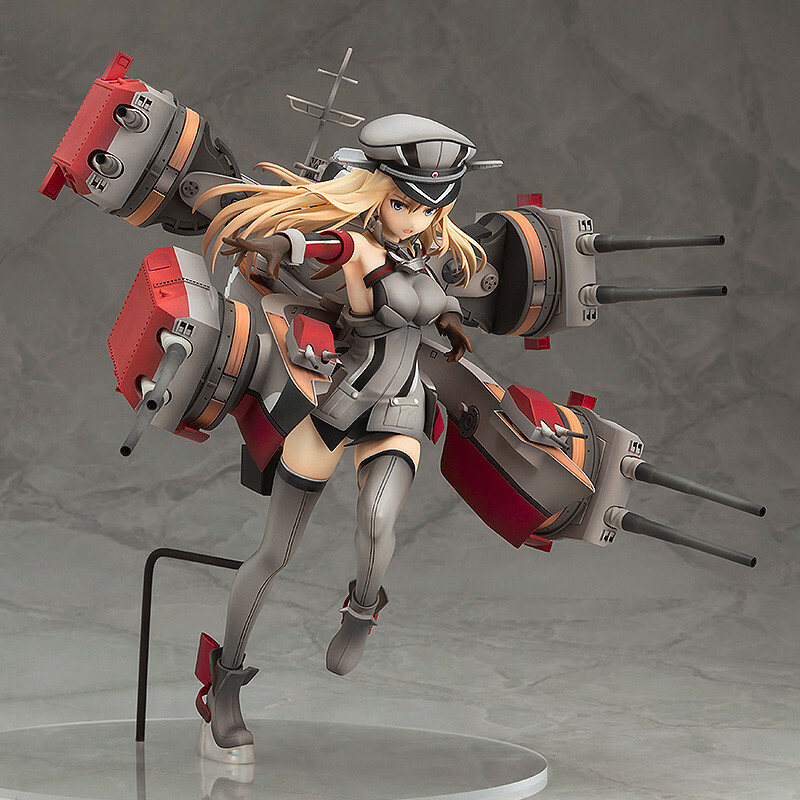 Be sure to display her with the previously announced Prinz Eugen who is scheduled to be released in January next year! Painted 1/8th scale ABS&PVC product with stand included. Approximately 245mm in height. 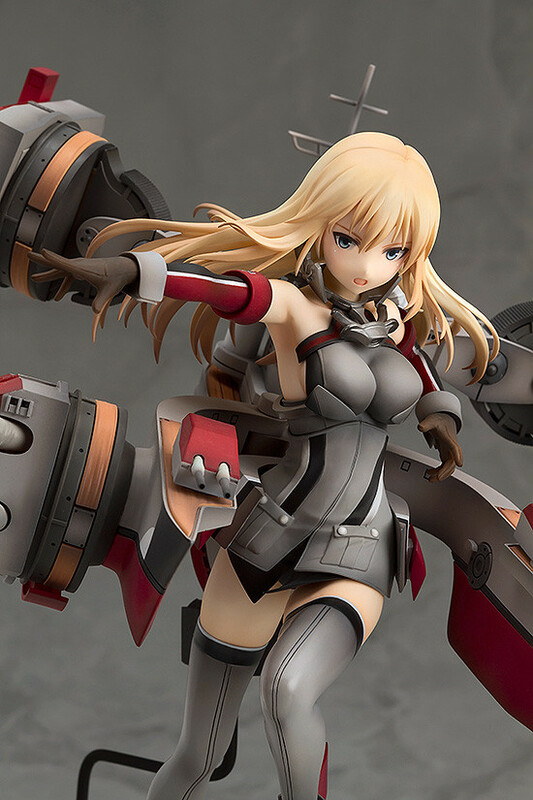 Preorders will be open from 13th September 2016 (Tue) from 12:00JST until 13th October 2016 (Thu) at 12:00JST. This product is not available for shipment to China or South Korea.